County supervisors provide regional leadership over critical policy areas, including policies necessary to ensure safe communities, protect public health, promote economic development, and plan and manage land use for sustainable development. Supervisors also provide important oversight of county operations, including overseeing strategies to promote sound fiscal management and to develop a high-quality county government. We would like to welcome you to our newly redesigned CSA website. We hope you enjoy our new format and the variety of new features. Here at CSA we want to ensure you have access to the most up-to-date information about our counties, the state and the federal government. 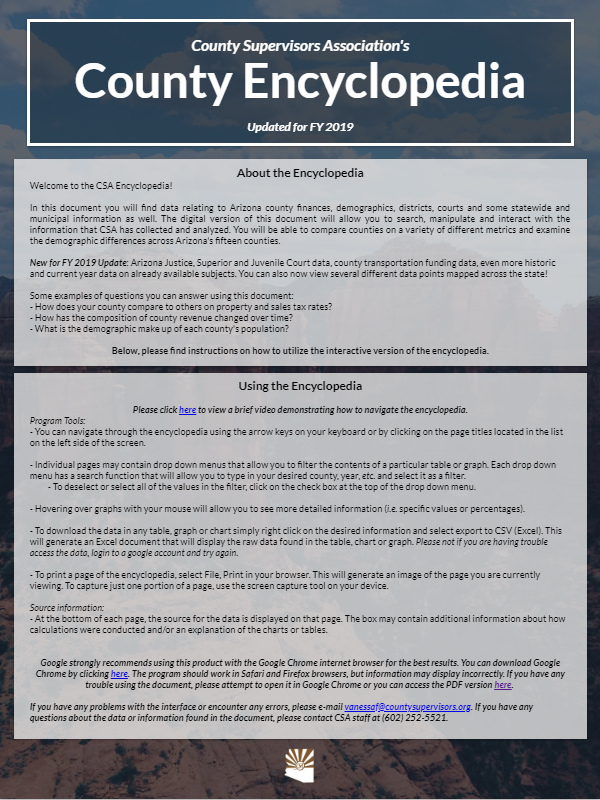 Though we have moved some of our content from our previous site over here, most of the content is new, including our recently completed CSA County Encyclopedia. In order to keep you plugged in, we will be regularly updating our content, so stay tuned!